You are at:Home»Analyses»Is Allah the God of the Bible? It is becoming increasingly common to hear Evangelical Christian missionaries suggest that “Allah” is the name we should be using for “God” in Islamic contexts and many bible translation organizations are now frequently using “Allah” in the translations they produce for Islamic contexts. Because there has been so much misinformation from both those opposing and those supporting this practice, trying to evaluate this practice has often proved to be very difficult for those on the outside who are trying to understand this issue. The difficulty in evaluating the claims being made has often lead people without direct knowledge of the issues involved to simply defer to the “experts,” leaving the door open to some very troubling practices in the mission’s field today. It is my hope to bring some clarity to the questions surrounding this issue so that we can better understand when this is the right practice, when it is wrong, and when the answers are not as clear as we would like them to be. It is important to recognize that anyone who tells you that the practice of using ‘allah’ as the word for ‘god’ in the bible is always right or it is always wrong either does not himself understand the issues or he is being deceptive; the answers to these questions are not quite that simple. With that background, I would like to evaluate the following common arguments used in this debate. Allah is a generic noun used to describe a divine being and is the proper word to use to describe God. Allah comes from the same root as Elohim in the bible and is the proper word to describe God. Allah was originally the name of the pagan moon God and should never be used in a bible translation; it is Satanic. Is “allah” really a generic noun for divine being? Missionaries who advocate using “allah” as the word for “God” in Islamic contexts tell us that the word “allah” is simply a noun used to describe a divine being just as the word “god” is a noun used to describe a divine being in English. These missionaries will point out that “allah” is the word used for “god” by Arabic speakers in most religious contexts including Christian contexts and just as we properly use the word “god” to describe the Hindu god or Mormon god, or Buddhist god, etc…, those in Arabic-speaking countries use “allah” in a very similar way. These claims are all true and these answers seemingly suggest that the claims made by these missionaries are valid. However, there are many more questions that still need to be asked before coming to that conclusion and if we stop here we will have made a tragic mistake. 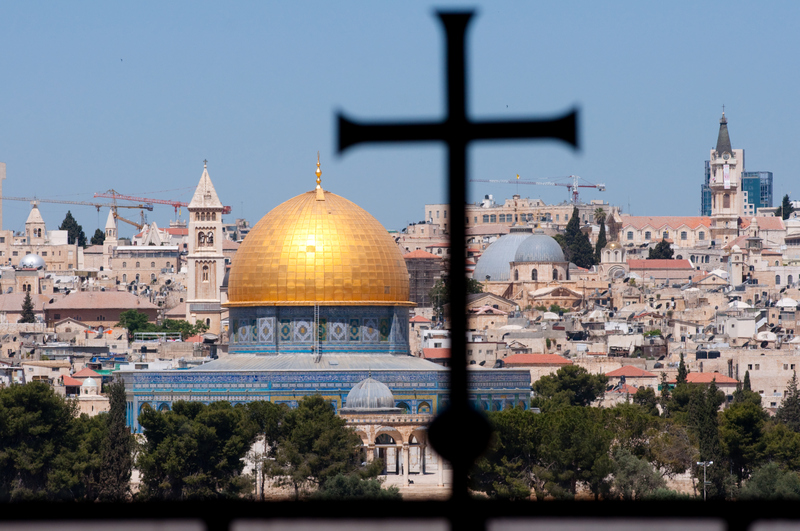 In order to understand the real issues involved in this controversy, it is important to understand that there is almost zero concern by anyone with experience in Arabic cultures about the appropriate use of ‘allah’ in Arabic bible translations. Georges Houssney has been a vocal critic of missionaries and bible translators who have inappropriately used the word ‘allah’ in bible translations and yet the modern Arabic bible translations produced under his direction use the word ‘Allah’ for God. Obviously, this question is not “should ‘allah’ should be used in translations of the bible?,” the question is “when and where should it be used?” In an Arabic bible translation, ‘Allah’ is the appropriate word to use when translating the Greek word ‘theos’ (god), the Aramaic word ‘elah’ (god), or the Hebrew words ‘el, eloah, or elohim’ (god). However, in other languages, like Persian, Amharic, French, English, etc… the word ‘Allah’ is not a generic noun, it is a proper name. In these contexts, the name ‘Allah’ brings to mind only the deity of Islam.The Al-Kitab English translation of the bible demonstrates this issue quite well. In this translation, Duet. 6:4-5 is translated as “4Hear, Israel: Allah is our God, Allah is one: 5and you shall love Allah your God with all your heart, and with all your soul, and with all your might.” In the original Hebrew text, ‘elohim’ is the generic noun used for ‘god’ and it is twice translated as the generic noun ‘God’ in the Al-Kitab translation but the proper name ‘Yahweh’ is translated as the proper name ‘Allah.’ Clearly, the translator of the Al-Kitab understood that, in English, ‘Allah’ is a proper name and not a generic noun. His translation 1demonstrates that he believes that Allah (of the Qu’ran) and Yahweh (of Scripture) are one and the same and it is this point of confusion about Christian theology that we should be careful to avoid. As was done in the Al-Kitab, some missionaries are now proposing that we use ‘Allah’ in languages where there has already been a long history of bible translations that have long used other words to describe God. Within these cultures, these new translations are raising as much alarm with the local churches as would be raised in our own churches if we were given the ‘Al-Kitab’ version to use in our English speaking churches. Our Christian brothers and sisters are rightly concerned about these new ideas in bible translation and we who are funding much of this translation work should stop and hear their concerns. Does Allah really come from the same root as Elohim? Missionaries supportive of IM will often point out that the word “allah” is derived from the very same Semitic root as “elohim” (The word used for God in the Hebrew bible) and while this is absolutely true, it is also very misleading. Unfortunately, this too often has become the bases for the claim that these are essentially the same word and therefore interchangeable, and that is a conclusion that is unfounded. Seeing the words for god in Arabic (“allah”), Aramaic (“elah”), and Hebrew (“eloah”) written in a Hebrew script seemingly confirms that these are in fact the exact same word and it is easy to see how someone could be easily confused. If you cannot tell the difference, you are not alone. Without knowing the vowels or the context even a native Hebrew speaker would not be able to tell these words apart; they are truly identical. However, that does not mean that a Hebrew speaker would be confused about which word is being used in daily speech. When we speak, we always use vowels and when written with the vowel markings, the differences between these words is very easily discernible. Additionally, within the context of a passage the correct word is understood even without the vowel markings, and when read the reader will apply the correct vowels to an unpointed text. This dictionary reference reveals two interesting facts. First, the word “allah” is understood specifically as the Muslim god by Hebrew speaking people despite its common root. 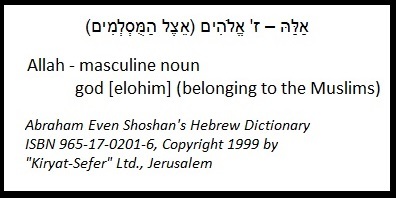 Second, the word “elohim” is understood in Hebrew as a generic noun for “god/gods;” ‘elohim’ in Hebrew is used almost identically to the way ‘allah’ is used in Arabic. While both Arabic and Hebrew are Semitic languages that share a common root for the word “god,” in Hebrew “Allah” is used only in reference to the Muslim “god” and “elohim” is used as a generic word for “god.” In Arabic we have the exact opposite situation; the word “Elohim” is used only in reference to the Hebrew God and “allah” can be used to refer to any “god.” The idea that words derived from the same Semitic root are themselves the same cannot be supported when we examine how these words are used in real life situations. Is ‘Allah’ really the name of a pagan moon god? No, it is a word used in reference to many different deities (including a pagan moon god) in the same way that the English word ‘god’ can be used in reference to many different deities. In the title of this section the word ‘god’ is itself used in reference to a pagan moon god; however this does not mean that the word ‘god’ is the “name” of a pagan moon god any more than a similar use in Arabic confirms that ‘Allah’ is the “name” of a pagan moon god. Confusing proper names with generic nouns is something that is, unfortunately, frequently done in arguments presented by both sides and it is always wrong. On the other side, it is not uncommon to hear those proposing that we use ‘allah’ in Islamic contexts suggest that the Greek words ‘theos’ and ‘kurios’ were “names” of pagan gods, or the Germanic word ‘gott’ (from which the English word ‘god’ is derived) was the “name” of a pagan deity. Confusing proper names and generic nouns is one of the quickest ways to cause confusion because it is often difficult for those who do not understand these foreign languages to recognize the difference. Arguments, on both sides of this debate, that begin with the claim ” the word __fill-in-the-blank__ is the name of a pagan god” are almost always in error. When you hear these kinds of arguments it should cause the alarm bells to start ringing! Sometimes ‘Allah’ has been used to translate words other than ‘god’ and that is always wrong. When it is used as a translation for words like ‘father’ it is the wrong word to use (even in Arabic translations) and is a reflection of serious compromise. Islam teaches that god has no familial relationships and some translators have attempted to resolve this conflicting claim between Islam and Christianity by replacing familial language in Scripture with alternative words that lack a familial understanding. In some cases, the word chosen for the translation of ‘father’ has been ‘Allah’ and this mistranslation obscures one of the most important truths in scripture i.e that God is our Father! Even in contexts where ‘Allah’ is the correct word to use for the translation of ‘god’, using ‘Allah’ to translate other words like ‘father,’ ‘lord,’ ‘Yahweh,’ etc… is never correct. When different cultures interact with one another it is common for one culture to adopt words from another. In English, we use the words like ‘hors d’oeuvres’ (French), ‘angst’ (German), ‘pro bono’ (Latin), ‘tour’ (Hebrew), sometimes without even recognizing the foreignness of the word itself. Adopting words from other languages is an extremely common practice that affects every spoken language. In languages that have been heavily influenced by Arabic cultures, this can create a situation where questions about the use of ‘allah’ are not nearly so easy to answer. For example, due to Arab influences, Turkish adopted many Arabic words including the Arabic word for God. Turkish was originally written in the Arabic Script and the very first bible translations were translated by Arabic-speaking Muslims beginning in the 17th century; these translations were then used by Christians for centuries. These early translations used the word ‘allah’ for ‘god’ and its “Turkishized” plural ‘ililar‘ 2 for ‘gods.’ So while Turkish was not a Semitic language, it had adopted this Semitic term and used it to describe many different deities. However, Turkish also has its own Turkish words for ‘god’ and ‘gods’ i.e. ‘tanri’ and ‘tanrilar’ and, because of the history of the Turkish language, modern translations of the Bible typically use these Turkish words for god. To understand why this shift took place, it is important to understand a little of Turkish history. In the 1920’s and 1930’s, after the overthrow of the Ottoman empire, the president of Turkey instituted a series of language reforms in an attempt to create a “pure” Turkish language. As part of his reforms, he changed the Script used to write Turkish from its historical Arabic Script to its modern Latin Script. He prohibited the use of many Arabic loan words (including the word ‘allah’) and ordered that translations of religious texts like the Qur’an and Bible use the Turkish words for God in place of the more common Arabic words. 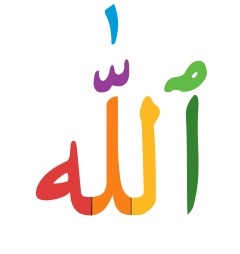 As a result, today in Turkey both ‘Allah’ and ‘Tanri’ are understood and used as generic and equivalent words for God, and because of this unusual linguistic history, it is not unusual or unreasonable for Christians in Turkey to use the word ‘Allah’ in reference to God but it is also not the only choice and it may not be the best choice to use in a modern bible translation. This is one of the few cases where there is a considerable amount of gray area to consider when trying to answer questions about the use of ‘allah’ in Christian ministry and/or Bible translation. While in some languages ‘Allah’ is the correct word to use when speaking about the God of Scripture, it is never correct to say that the god of Islam is the same as the God described in our Christian Scriptures. The picture of God presented in Islam is very different than the picture of God that is presented in our Scriptures and trying to harmonize these divergent ideas about who God is can only lead to confusion. So as we evaluate specific instances where ‘Allah’ is used in bible translation or Christian outreach, we need to be asking whether this usage is likely to cause people to associate the God of Scriptures with the god of Islam? Because the stakes for misunderstanding who God is are so high, we need to be diligent ensuring that we and the missionaries we support are making good biblical choices in these areas and that takes a little bit of diligence on our part. Here are some questions we can ask that can help us understand whether using ‘allah’ as the word for ‘god’ is appropriate in the contexts that we, or our missionaries, are involved. Is there an established history of bible translation in this language? When there is already a history of bible translation in a particular culture, the words they have already chosen to describe God are the words that should typically be used. Even in situations where the original choice may have been a poor choice, it is still almost always a far bigger mistake to try and “correct” it later. This is one of the reasons translators should be extremely careful about the translation choices they make when creating the first translation in a new linguistic context. In linguistic contexts that already have a bible translation, alarm bells should be ringing when a translator chooses to ignore the traditional terminology used in existing bible translations. How has the local Christian church received these new translations? In many cases, the strongest objections to new translations that have adopted ‘allah’ as the word for God or the name for Yahweh has come from the local Christian churches in the countries where these bibles have been produced. If local Christian churches are opposing these newer translations because they are concerned about the terminology being used, then we too should be concerned. 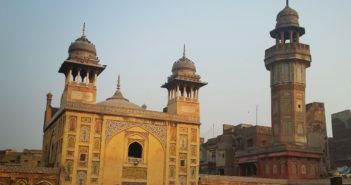 Too often our Christian brothers and sisters abroad have felt abandoned and powerless to intervene when our western missionaries have begun ministries and bible translation projects that use terms that have created confusion about the differences between Islam and Christianity. 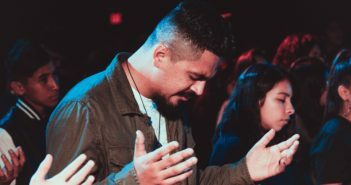 Unfortunately, it is becoming more frequent for our missionaries to be working in opposition to the local church rather than working with them. In the linguistic context of a given culture, is ‘allah’ a generic noun or a proper name? Are there other words for ‘god’ that are commonly used? What terms have religions other than Islam used? If possible, ask a native speaker (that does not have a stake in this debate) because their understanding will almost be certainly better than the missionaries (on either side of the issue) that are not native speakers of the language. If the answers to these questions suggest that ‘Allah’ is only used as a proper name, then it almost certainly is the wrong word to use for God in bible translation or Christian ministry. Studied Biblical Studies (with an emphasis on OT) at San Jose Bible college (Now called William Jessup University) and Computer Science and Hebrew at San Jose State University. Currently works as a Network Consultant professionally. You are technically correct i.e. most do believe that Al-ilah is the source for Allah, but this is disputed. That being said, common usage dictates how it is understood and It is understood as a common noun in some contexts and a proper name in other contexts. If it were in my control, I would not have allowed الله to have developed also into a proper name and an indefinite common noun, but language frequently evolves in ways that don’t make the best sense. I do strongly agree with you that the god known by the proper name Allah is not Yahweh, but at the same time we need to recognize that most Arabic Christians do understand اللهُ as a common noun referring to the divine being who is called Yahweh. This usage predates Islam. The noun god translates to arabic as Ilah (the god = Al-ilah). According the Arabic language dictionary, Allah is the proper name of the only God (The Majestic Name of Allah) (ISM AL-JALALAH الإسم الْجَلالة) and it is not a noun as you mention. Does god changed his name from Yahweh to Allah? I do not think so.